A New Mexikayotl: It’s Time To Purge The Nonsense! What is Yankwik Mexikayotl, and why has it come about? What makes it different to traditional Mexikayotl, and why should anyone care enough to look into it? Many of you might be asking yourselves these, or similar, questions, and the purpose of this two-part definitional essay is to briefly explain Yankwik Mexikayotl and explore some of its methods. By the end of this essay, its purpose, intentions, and methodologies should be clear and reasonably explained. More importantly, however, this piece should not be taken to be the definitive voice, source, or explanation of Yankwik Mexikayotl, for it is still in the process of emerging, and I expect that it will flourish and continue to evolve as time progresses. 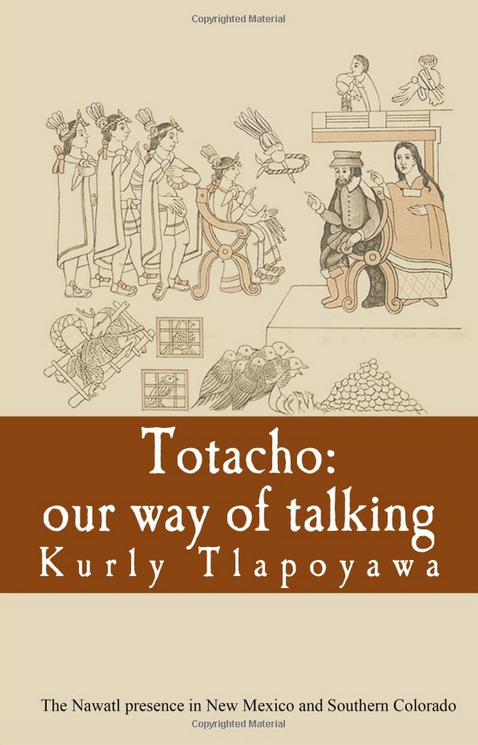 In effect, the following essay is a primer from which a more focused and concise definition will develop, one that will perhaps become a useful framework of analysis, not only for Yankwik Mexikayotl, but for other similar approaches to traditional indigenouscultures and modern instances of reclaimed indigeneity. Let us begin by unpacking a few terms. First, what is meant by the term “traditional culture?” Defining this term is not as simple as it may seem, because individual and group notions of what “traditional” means must be considered. The ‘scholarship’ (and by this I mean the academic work done on, or about, indigenous people and their cultures) has moved away from gross generalizations – we will get to that topic in due time. Most contemporary scholars working on indigenous societies take a more nuanced and sophisticated view of those cultures, and the majority agree that trying to define what is or is not “traditional” is a perilous endeavor. With that in mind, let us briefly explore the term traditional; what does it mean, and who gets to define it? There are no easy answers to these questions. They are part of larger and ongoing conversations between “Natives and Academics” (to use a phrase), and this topic merits its own essay. However, as I understand it, the main contention with the idea of the ‘traditional’ in indigenous societies is in deciding between two main perspectives, that of “antiquity” or “custom.” Is it antiquity —meaning extremely old and ancient, or is it custom —meaning that a thing has been habitually done a certain way for a specific period of time— that which makes a thing traditional within any given culture or society? Arguments can and have been made for both positions, but I contend that the argument in favor of ‘custom’ makes the most sense. ‘Traditional’ need not mean that a thing is ancient in order for it to be a legitimate cultural trait. Think of your own lives and families and the many traditions that you have which are particular to you and yours. I will venture to say that many are not ancient at all, but rather, more recent adoptions that define who you are individually or as a group. That is how it works for larger groups called cultures, which are basically societies of people that share similar ideas, values, language, and customs. Next, let us look at “indigeneity.” If it sounds like an academic construction, that is because it is. In simple terms, ‘indigeneity’ is the combination of the words indigenous and identity – hence, indigeneity. Seems obvious enough, what else is there to say about it? Well, what is indigenous identity? Who defines it; a government, a group of people, an authoritative individual? This term is a little harder to apply because of the long settler-colonial legacy of denying indigenous people their Native ethnicity in North America, particularly in the United States with its blood quantum policies. For our purposes here, we will say that ‘indigeneity’ is an indigenous identity particular to an individual who sees him/herself as belonging to a specific group with roots dating prior to the so-called “great encounter” of 1492. That is an extremely wide net that encompasses a diverse array of peoples, cultures, and societies stretching the northern and southern American continents. However, ‘indigeneity’ is very distinct, and I tend to think that it only applies to those groups or individuals who actively seek it. It is not a default position for everyone. In this respect, I have always viewed the Mexikah identity in the same light. Being Mexican does not automatically make you Mexikah by default; you become Mexikah during your indigeneity realization process while actively seeking to immerse yourself in Mexikayotl. In addition, the Mexikah identity is not only a cultural identifier; it is also a politically assertive identity akin to the way the Chicano identity was in its civil rights heady-days of the 1960s-70s. The labels Mexikah and Mexikayotl are inseparable, and in order to understand the former, we should define the latter. What is Mexikayotl? …traditional foods, clothing, music, languages, cultures, cosmology, social organization, philosophies…Mexikayotl is an ideological stance, a social movement and a life philosophy all rolled into one. Mexikayotl also includes the traditional ethics and values of our ancestors which shape how we view the world from an Indigenous perspective. An individual that calls him/herself Mexikah has internalized Mexikayotl, and is engaged in activities congruent with that position in relation to their indigeneity. In my experience, I have found that individuals and/or groups who identify as Mexikah define Mexikayotl according to their own biases and interests, but they all share some or all of the elements quoted above. Yankwik Mexikayotl does not contend personal definitions. What we are advocating is a paradigm shift within our communities, hence the qualifier “yankwik” (yancuic) which means ‘new’ in Nawatl (Nahuatl). Effectively, what we are proposing here is an updated version of Mexikayotl that is responsive to what has transpired over the last five-hundred plus years since the European invasion of the Western hemisphere. Nonetheless, Yankwik Mexikayotl is more than just a response. 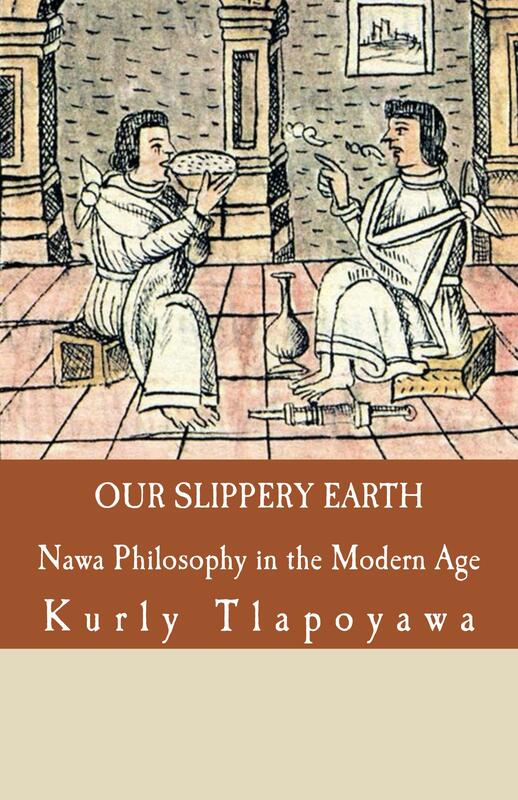 As Kurly Tlapoyawa has suggested, Yankwik Mexikayotl is a logical evolution of the philosophical and intellectual processes that were already in play prior to Spanish intervention. Promote a strong indigenous identity among Chicano-Mexicanos by reappropriating and defending our pre-Kuauhtemok cultures which are often distorted, maligned, and dismissed as irrelevant by mainstream colonialist society. Expose and eliminate the many fabrications and distortions that have infected our movement via Christianity and the Catholic Church, pseudo-history, magical thinking, new age-ism, conspiracy theories, homeopathy, and charlatans from within our own communities. 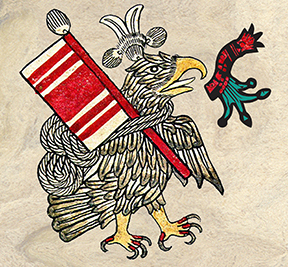 The first point is a long standing and ongoing goal dating to the first incarnation of this organization – the Mexika Eagle Society, and it is a goal that many within Mexikayotl have advocated for in their own way since the indigeneity bug bit the Chicano/Mexicano community. The second point is what distinguishes the ‘yankwik’ component in proposition from the Mexikayotl most of us have come to know. As mentioned at the onset, this is not meant to be a definitive, or official, definition during this transitional stage, but rather a point of departure from what has come until now. In essence, Yankwik Mexikayotl is a rationally driven methodological process which seeks to reform Mexikayotl proper from the various elements that have dishonestly misrepresented, misappropriated, and abused it at the expense of its adherents. Yankwik Mexikayotl specifically responds to and targets the points laid out in Article 2 by using critical thinking, rational reasoning, skepticism, humanism, and logic. This will be explained further in the second part of this essay, but suffice to say that the methodology in favor is the scientific method. I understand that many folks in the Mexikah community frown upon this approach to tradition, and deem it to be Westernized or colonized thinking, but whom here does not live in the modern world and benefit from its many comforts? Being anti-science and anti-critical thinking is not conducive or progressive to any society. If our ancestors had not used their intelligence to figure things out —you know, like ‘Western scientists’ do today, would they have developed corn, calendars, buildings, writing systems, and complex societies? I think not. Being a traditional, or ethnic, or indigenous person does not mean that one has to reject science or progress. Science and its cousin technology are precisely how we humans have progressed —for better or for worse— regardless of where those things originated. It is due time that we stop vilifying science and technology, simply because they challenge our assumptions and beliefs or because of our disavowal of things European. Yes, our American ancestors suffered immensely at the hands of Europeans, there is no disputing that, but they were also adept at surviving and adopting the strange trinkets the foreigners brought with them. Think of the elaborate and gorgeous beadwork done by many indigenous peoples throughout the Americas; those glass beads were introduced by Europeans, and they soon replaced the ‘traditional’ material used for jewelry making. Does this sound like outright rejection? On the contrary, even upon the face of uncertainty, indigenous people quickly realized that they could benefit from the ideas, objects, and technologies that Europeans introduced to them. Things like iron tools, beasts of burden, and weapons were easily and promptly assimilated into indigenous societies. Of course, as we all know the exchange went both ways resulting in the global diffusion of American items such as corn, the tomato, the potato, and today’s American favorite, el agaucate – the avocado. In summary, the first part of this two-part definitional essay introduced a more concise understanding of Yankwik Mexikayotl and elaborated a few terms that get tossed around a lot but rarely get defined in the process. It also introduced two major goals and an open-ended definition of Yankwik Mexikayotl. The reason for leaving the definition open is so that it can evolve in concert with the development of the new paradigm we are advocating for within Mexikayotl. In the second part of this essay, we will continue with the definition of terms and the process by which Yankwik Mexikayotl hopes to advance its trajectory. In the meantime, I hope that this essay’s presentation was adequate, and that its words did not injure anyone’s personal sensibilities. The idea here is to initiate a healthy and respectful dialogue that will lead to a more engaging, rational, and forward thinking approach to Mexikayotl. Tiyaweh Mexikah! Devon A Mihesuah, Natives and Academics: Researching and Writing About American Indians (Lincoln: University of Nebraska Press, 1998). Jayme A. Sokolow, The Great Encounter: Native Peoples and European Settlers in the Americas, 1492-1800 (M.E. Sharpe, 2003). Kurly Tlapoyawa, “FAQ,” Mexika Resistance, accessed June 18, 2014, http://mexikaresistance.com/faq/. Kurly Tlapoyawa, “Letting Go Of Magical Thinking,” Mexika Resistance, May 13, 2014, http://mexikaresistance.com/2014/05/13/letting-go-of-magical-thinking/. Ibid; and Itztli Ehecatl, “A Brief History of the Mexicayotl Movement,” Mexika Resistance, June 5, 2014, http://mexikaresistance.com/2014/06/05/a-brief-history-of-the-mexicayotl-movement/. Tlakatekatl, “Personal communication,” Dec 17, 2012. 5 Comments on A New Mexikayotl: It’s Time To Purge The Nonsense! Interesting enough, I just attended a presentation where this conceptb of “indigineity” was defined and discussed. According to the definition, it only applies to those of “Indian” descent that have actual ties to actual land (i.e. grandmother still lives in her family’s home, I the same pueblo where they are from). I was quite unsettled with this since it seems to discount exactly what you have defined above (of which I am in agreement with). Really? Where was this presentation held? Who presented? Welcome to the site, byw! Honestly, it was the first time I had heard of the term “indigeneity” (been out of the academic loop, I guess) and I was curious, and so I asked if their research led them to consult with local circles that are practicing indigenous philosophy and traditions, building indigenous-grounded networks of families and community. And the response was just that they (referring to the danza community) are not considered indigenous or qualify to claim “indigeneity” as an identity because “what they are doing is more, only, recovery of some aspects of the culture, not truly indigenous.” Also, what I had already stated above. So, I appreciate your point of view because I feel like that term was born in academia, and as usual, academia tends to be very exclusive. “Latinidad?” gross. Interesting how some individuals will be so dismissive of Chicano-Mexicanos seeking to reclaim their Indigenous identities, yet they bend over backwards to legitimize a nonsensical, eurocentric concept like “latinidad,” whatever in the hell that even means. I hear “latinidad” and I think of ancient Rome and speaking Latin. That’s a far cry from the INDIGENOUS cultural inheritance I got from my grandparents…lol. Kuikani, thanx for your comments. You hit the nail right on the head; academics tend to frame things in exclusive terms sometimes, and as an academic myself, I find it very frustrating. It’s up to people like us to challenge their assumptions. I found the agenda of the conference you attended on line: Imagining Latina/o Studies: Past, Present, & Future; held July 17-19 2014 in Chicago, IL. The session you are referring to was called The Politics of Indigeneity in/and Latinidad. I have a feeling that the person you engaged with at the conference was a lady by the name of Lourdes Alberto. Her presentation was called “Indigeneity and Latinidad: How Mexican Indians are Changing the Language of Race in the US.” I don’t know her personally, but I’m familiar with her work. She, like most anthropologists that deal with indigenous communities, tends to be dismissive of “mestizos” that claim to be indigenous. Part of my work academically is to respond and complicate the rigid and exclusive definition of indigeneity — this in fact can be traced to the UN. I’ve been meaning to do a short article on the subject and perhaps it’s time to get on it. Look for it here soon.